Fr. 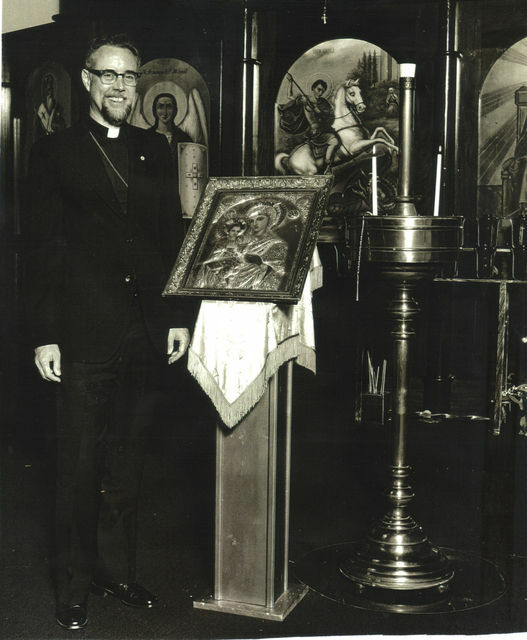 Daniel B. Montgomery in the new Trumbull church. Date unknown. Fr. 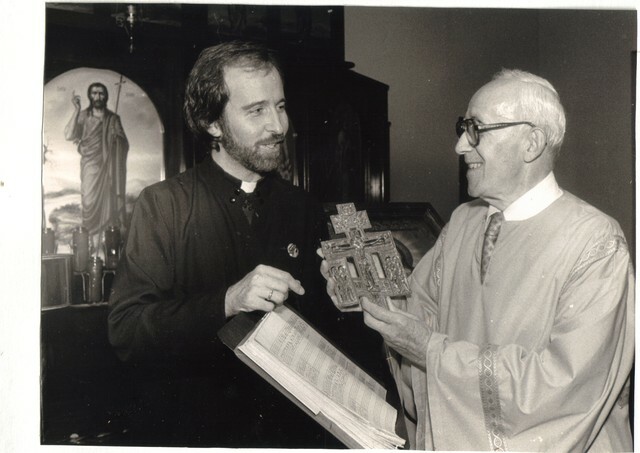 Stephen Siniari presenting Cantor Steven C. Tallcouch a recognition award at the church in Trumbull. Date unknown. 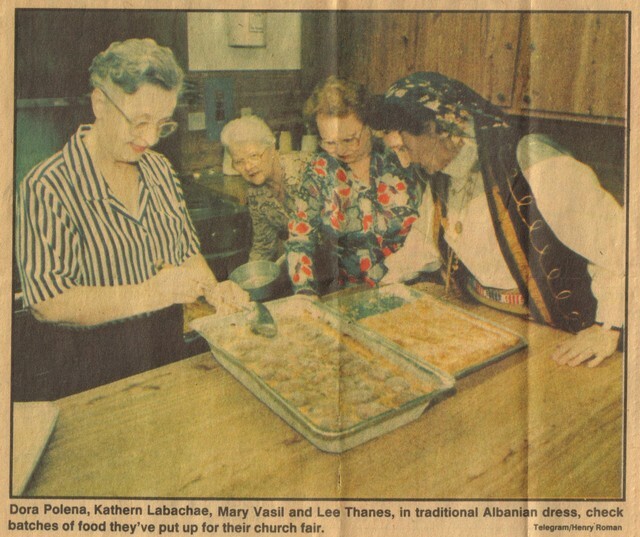 From Left to right: Dora Polena, Catherine LaBache, Mary Vasil, and Lee Thanes preparing food for the annual fall bazaar in the Trumbull Church Hall. Date unknown. 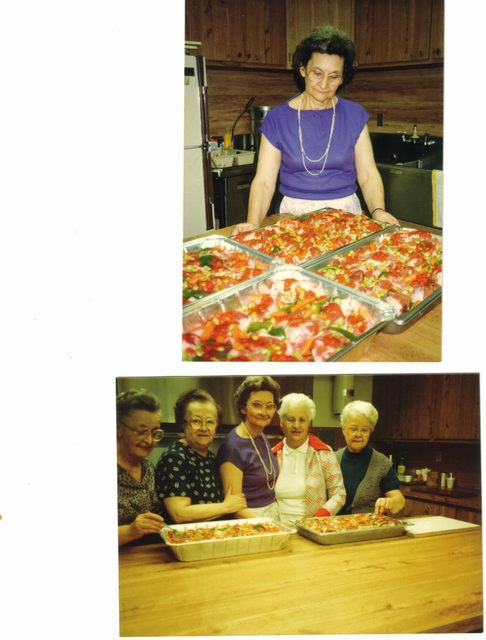 Photos of members of the Teuta Ladies Society preparing food for an annual fall bazaar. Date unknown. 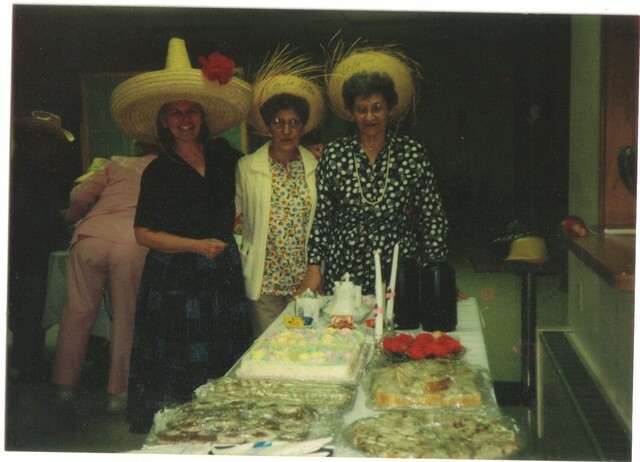 Left to right: Pauline Dionis, Mary Nikola, Lee Thanes at a social event in the Trumbull Church Hall. Date unknown. 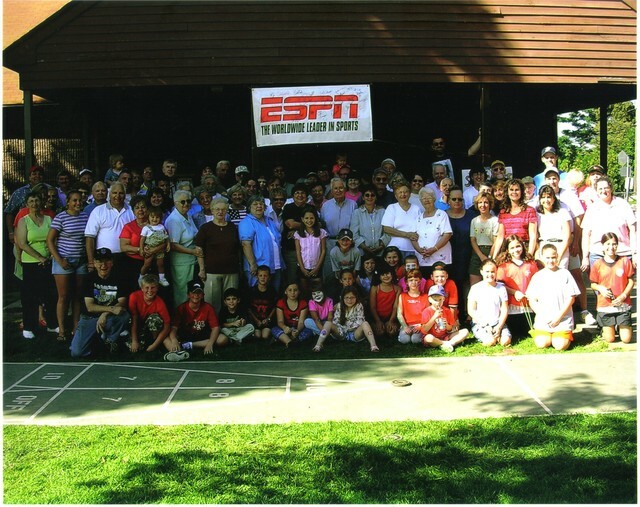 Parish participants at a Parish picnic held at Wolfe Park in Monroe, CT. Date is around the year 2000.